Over the last few decades, vibrant debates regarding post-secularism have found inspiration and provocation in the works of Sigmund Freud. A new interest in the interconnection of psychoanalysis, religion and political theory has emerged, allowing Freud's illuminating examination of the religious and mystical practices in "Obsessive Neurosis and Religious Practices," and the exegesis of the origins of ethics in religion in Totem and Taboo, to gain currency in recent debates on modernity. In that context, the pivotal role of Freud's masterpiece, Moses and Monotheism, is widely recognized. 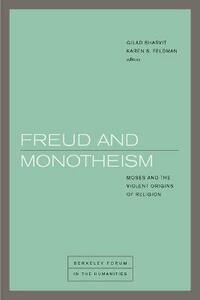 Freud and Monotheism brings together fundamental new contributions to discourses on Freud and Moses, as well as new research at the intersections of theology, political theory, and history in Freud's psychoanalytic work. Highlighting the broad impact of Moses and Monotheism across the humanities, the contributors hail from such diverse disciplines as philosophy, comparative literature, cultural studies, German studies, Jewish studies and psychoanalysis. Jan Assmann and Richard Bernstein, whose books pioneered the earlier debate that initiated the Freud and Moses discourse, seize the opportunity to revisit and revise their groundbreaking work. Gabriele Schwab, Gilad Sharvit, Karen Feldman, and Yael Segalovitz engage with the idiosyncratic, eccentric and fertile nature of the book as a Sp tstil, and explore radical interpretations of Freud's literary practice, theory of religion and therapeutic practice. Ronald Hendel offers an alternative history for the Mosaic discourse within the biblical text, Catherine Malabou reconnects Freud's theory of psychic phylogenesis in Moses and Monotheism to new findings in modern biology and Willi Goetschel relocates Freud in the tradition of works on history that begins with Heine, while Joel Whitebook offers important criticisms of Freud's main argument about the advance in intellectuality that Freud attributes to Judaism.